Such a sweet melancholy dolly. This year your Halloween Costume has to be special. Something different, something that's a little bit dark but also pretty and girly. Something they'll notice and remember and adore. Perhaps it is this Broken Doll Costume you have been searching for. 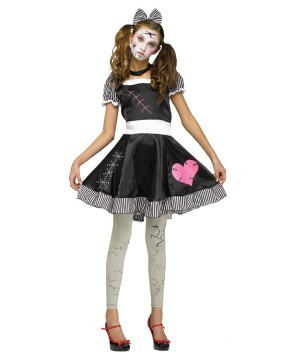 Broken Toy Doll Teen Costume includes a dress, a hair bow, a choker, and footless tights. The black dress has poufy black and white short sleeves that match the ruffly striped hemline just above the knees. The skirt and bodice are decorated with stitching designs, and the stitched-on heart detailing on the skirt will make your heart melt. The included black choker help make her look like a real Doll, as do the cracked porcelain look tights. The black and white striped hair bow is adorable for your Dolly hairstyle. This sad but sweet Halloween treat does not include the pigtail hair ties or shoes and is available in one size that fits most Juniors (0-9). Made of 100 percent polyester. Tights are 92 percent nylon and 8 percent spandex. 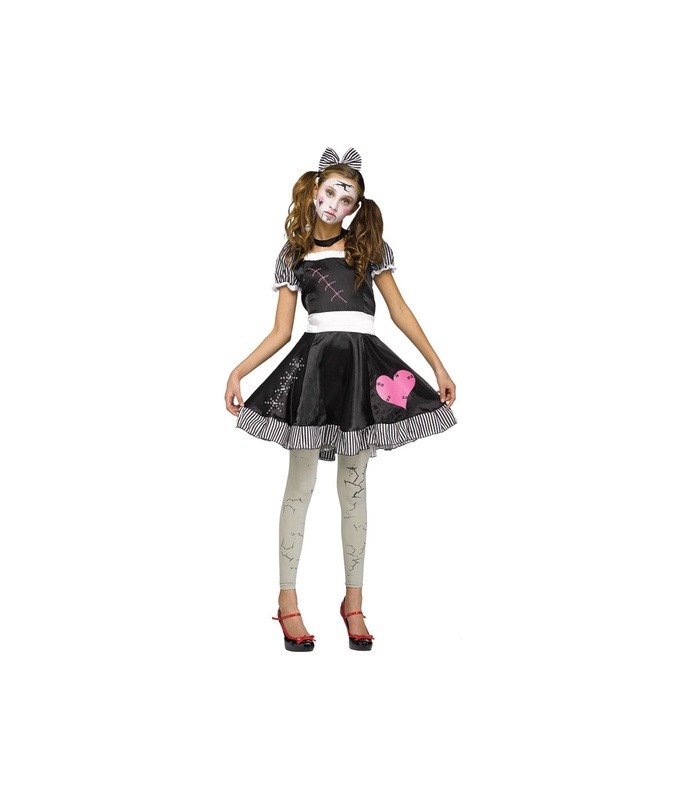 Review(s) for " Broken Toy Doll Teen Costume"